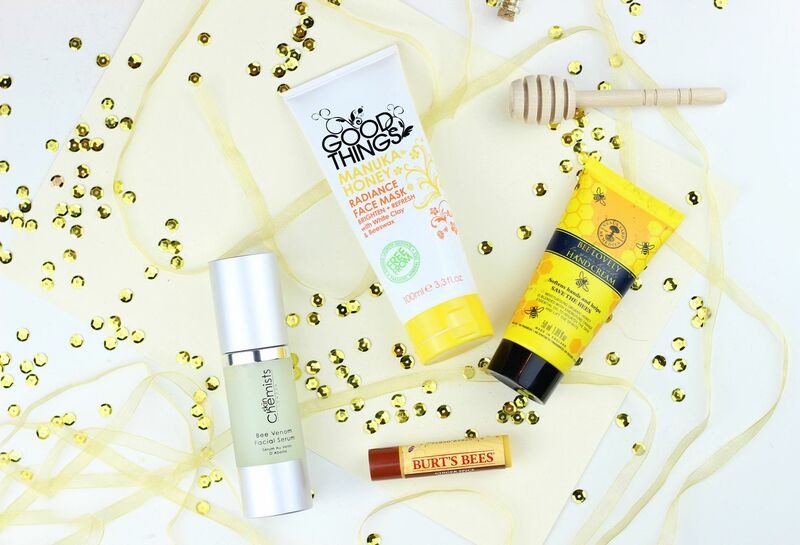 I am absolutely buzzing with my new beauty finds; four beauty picks that I really think are the bees knees. From serums to lip balms, I am a little bit in love with honey-infused beauty products. One of many lip balms in my handbag is the Burt’s Bees Ginger Spice lip balm, which is one of my top picks for using in the day – the stick form just makes it so easy to use throughout the day to make sure matte lips don’t leave my lips too dry. This one smells Christmassy as well! For a bit of a skin pamper, I have been really enjoying the Good Things Manuka Honey Radiance Face Mask, which makes the skin feel really clean. It has white-clay in it, but the honey in it stops everything from being too drying on winter skin. Once rinsed off, it leaves skin looking fresher and a lot more radiant (just like it promises). Something I never skip is a good serum – at the moment I am loving the skinChemists Bee Venom Facial Serum for some glow and hydration. It has bee venom in it, which is designed to slightly irritate the skin in order to boost circulation and to make things look really smooth and luminous. I like to use this one at night under a rich night cream – evening skincare is when I really try and treat my skin. Something I got in day one of my M&S advent calendar and one I’ve used every single day since is the Neal’s Yard Remedies Bee Lovely Hand Cream. It’s gorgeously rich, and helps soothe dry skin in the cold conditions. I’ve been using it every morning on my walk to the train when it’s particularly frosty, and really noticed a difference. The honey is really moisturising, and it also smells like orange blossom – dreamy stuff.